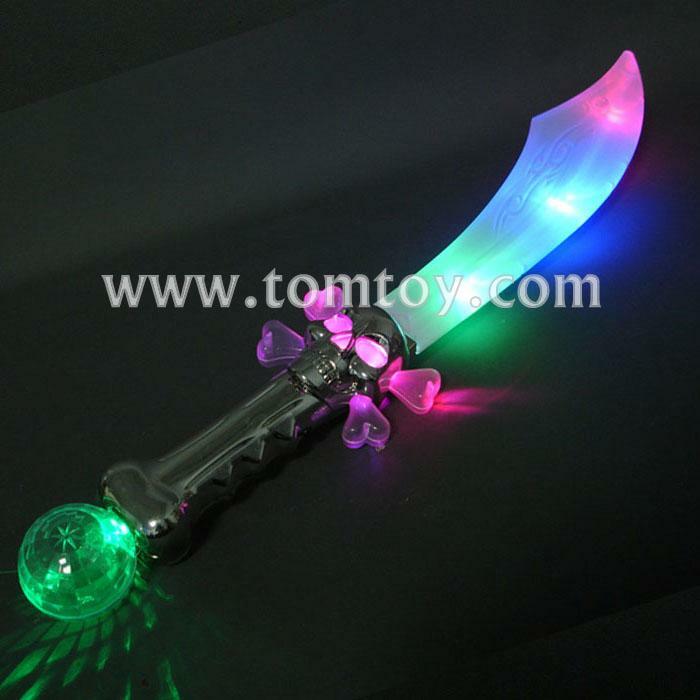 1.This light up flashing pirate sword features a unique prism ball on the end that creates an incredible light show in dark rooms. 2.With a click of the on/off button our 23 inch tall flashing pirate sword blinks and flashes all over! 3.From the plastic blade to the eyes and bones accented by a silver chrome skull adorned hilt. 4.Accessorize pirate costumes or hand them out at pirate theme parties for your little pirates. 5.Each light up pirate sword comes with 3 - AA batteries included and installed.